Leo Varadkar was a teenager when he came out as openly Fine Gael. The early signs were there. His mother now understands why, at the tender age of seven, young Leo confided that he wanted to be the Minister for Health. At the time “she was mortified”. Minister for Health Varadkar is still saying things that stop people in their tracks. Some see it as his biggest failing – he’s too straight sometimes for our nod and wink political culture. 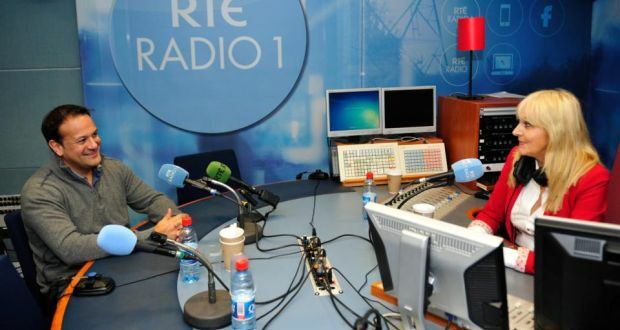 Yesterday morning, he shocked the political establishment by telling RTÉ’s Miriam O’Callaghan that “a politician should trust people with the truth”. Then he shocked the nation by revealing that he is still only 36 years old. Doing anything on the big day? Nothing, apart from becoming the first Irish Cabinet Minister to publicly come out as gay. It came as news to a lot of people, including some from his own parliamentary party. But to others it came as a relief. For months, Varadkar had been biding his time, building up to an announcement he really shouldn’t have had to make. It should be nobody’s business but his own, except that isn’t how things work at the sharp end of his trade. With a referendum on marriage equality drawing near and issues such as surrogacy legislation and the ban on gay men giving blood on his immediate agenda, he knew he had to go public about his sexuality. “I don’t want anyone to think I’ve a hidden agenda or that I’m not being fully honest with them,” he said. And Leo also knew he just couldn’t talk in “a detached” manner about subjects he feels passionate about. That is a astonishing declaration for a Cabinet Minister and PFT (potential future Taoiseach) to make. Leo’s brave declaration will also put a stop to the gallop of the gossipmongers. It is true that certain media organisations have been itching to “out” him. Queries were regularly submitted to his department seeking information about his personal life. Certain photographers were keeping an eye on his movements. He had to time his announcement between health controversies. He had a small window of opportunity yesterday. For those aware of where his interview was heading, it made for difficult listening. Everyone else must have wondered why Miriam was taking the scenic route through Leo’s childhood and assorted nuggets of family trivia. He sounded nervous as he tip-toed with Miriam towards the main reason for their chat. She finally, excruciatingly, broached it. The words haltingly spoken, but laden with meaning. Leo wound up for his big admission, swallowing hard as he talked about how he values his privacy and the privacy of his family and friends. He said it wasn’t a big deal for him anymore. But for once, straight-talking Leo was being a little sparing with the truth. It is a big deal, and he knows it. There was something very touching about the interview. Cabinet Minister Leo talking about telling his big sister and friends and how he told his parents. How his mother was worried at first that he might get beaten up in the street or have his sexuality used against him in his political career. Then, of course, he had to tell the Boss. Enda immediately drew on his extensive knowledge of The Gays. “Have you ever been to the Pantibar?” he asked his Minister for Health. Leo said he was never in the place. “There you are, Varadkar, I’m ahead of you already!” chortled the Taoiseach. Who’d have thought it? On a Sunday morning, after Mass, roast in the oven, lovely Miriam on the radio and a Government Minister telling the whole country that he’s gay and happy and still the same fella he was before they heard his news. And the sky didn’t cave in and Sunday morning went on as normal. Afterwards, Leo, with a big weight lifted off his shoulders, went out for a run to clear his head.